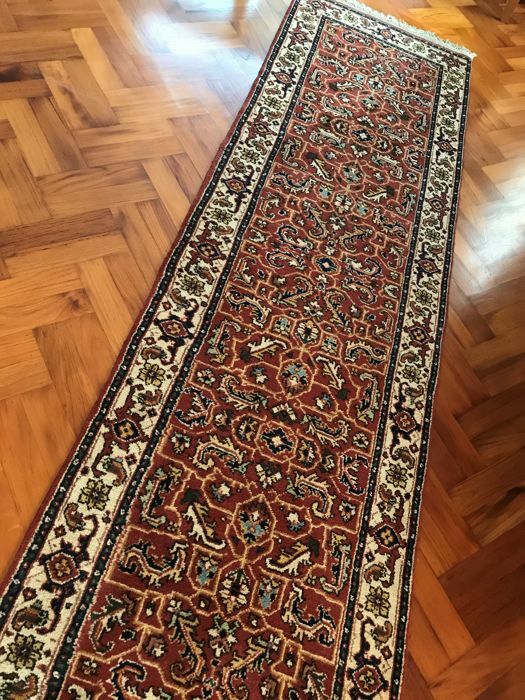 This is a hand-knotted Bidjar runner, made of durable, natural materials. 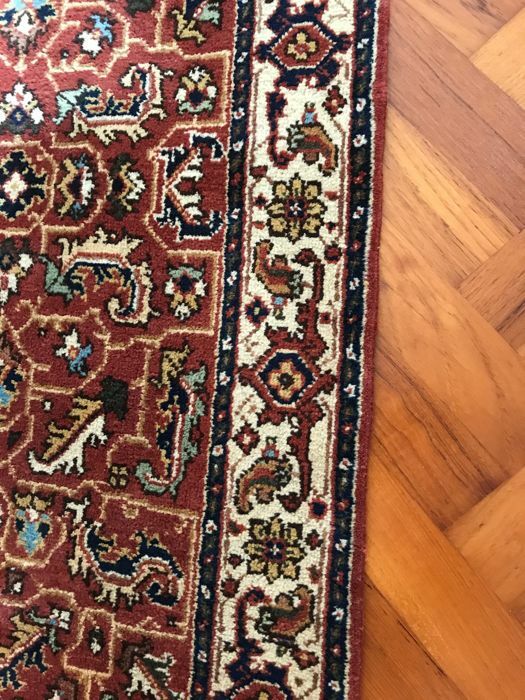 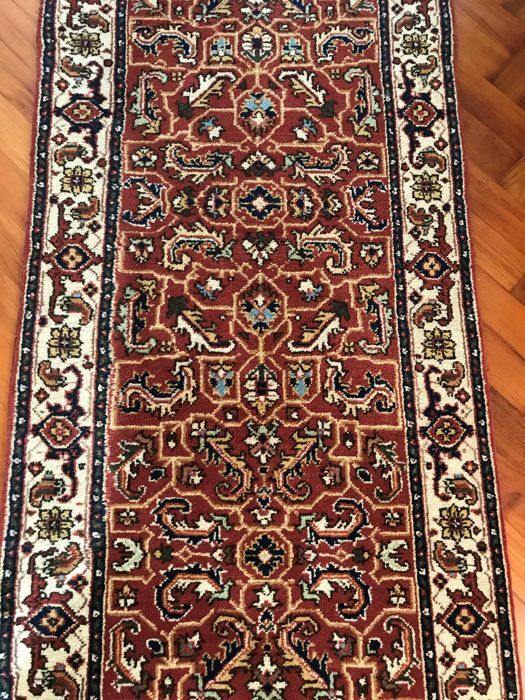 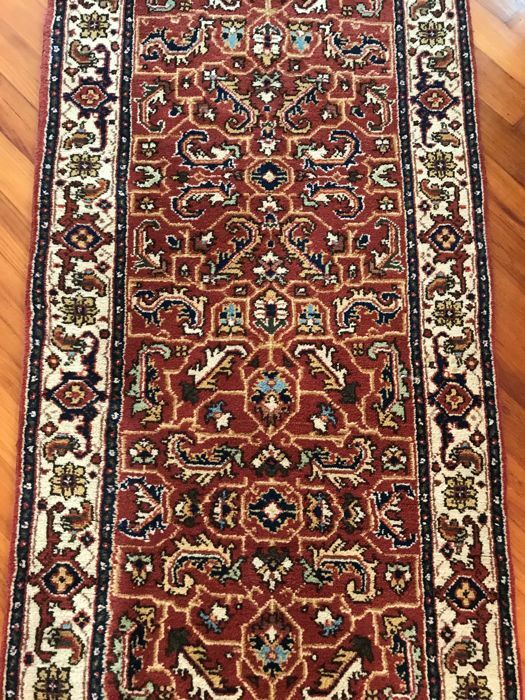 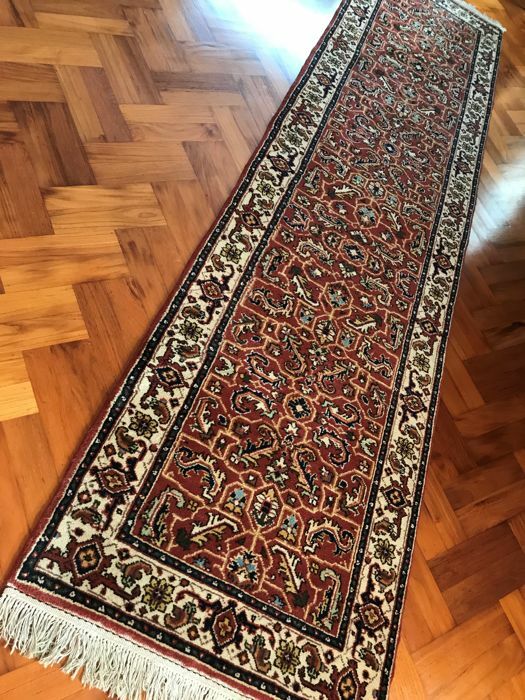 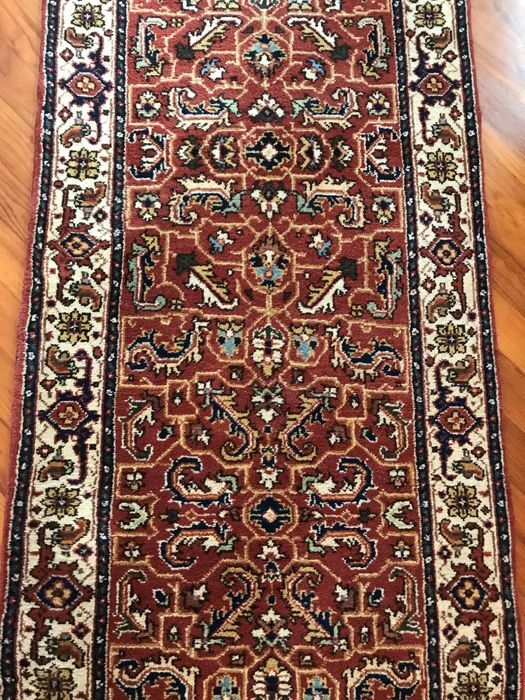 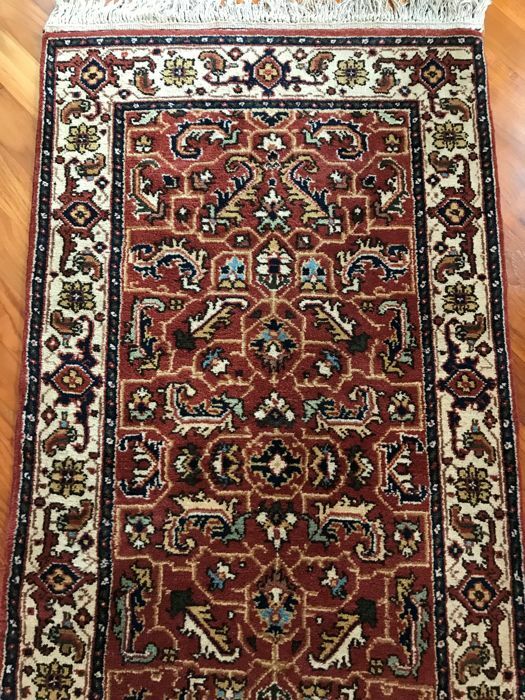 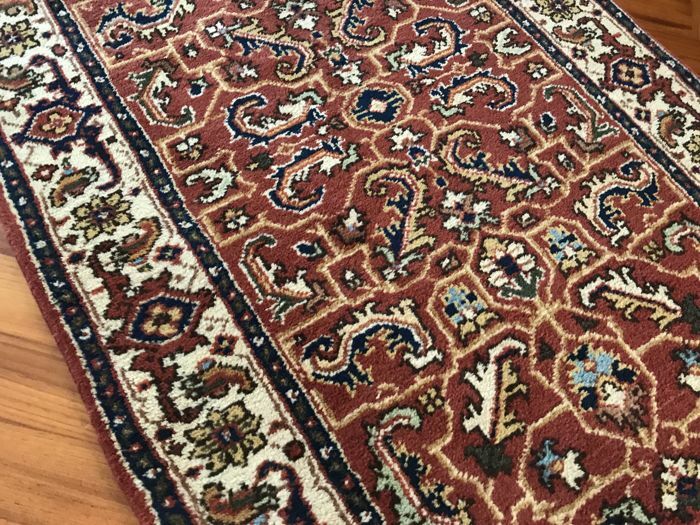 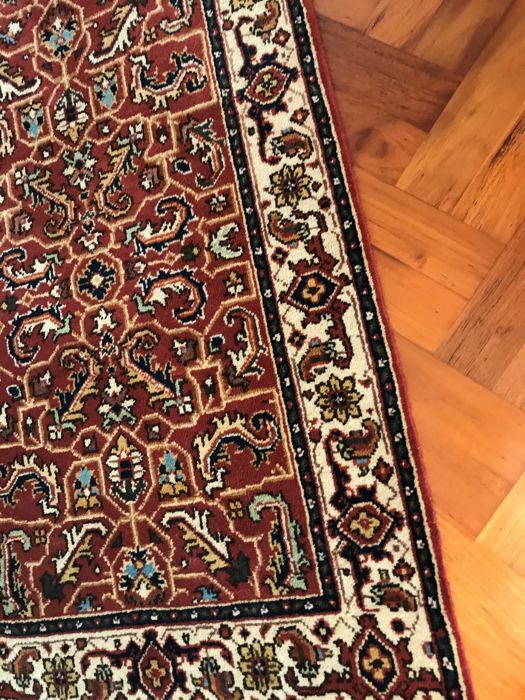 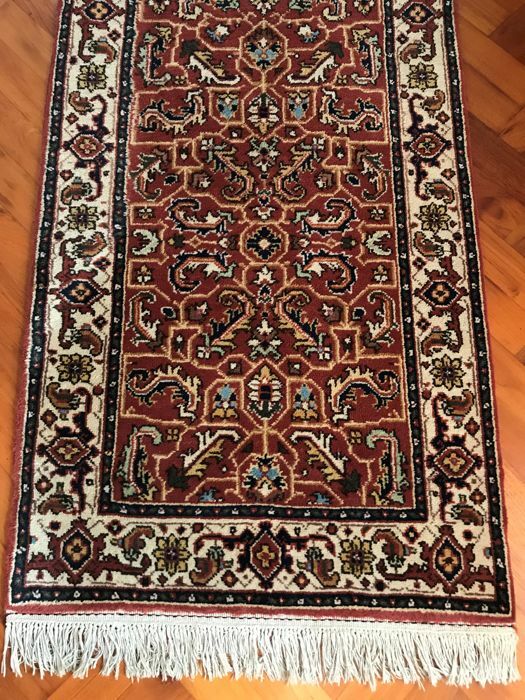 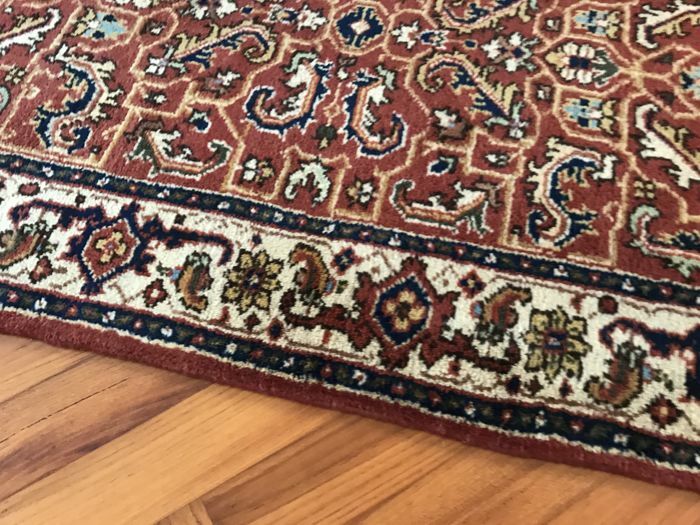 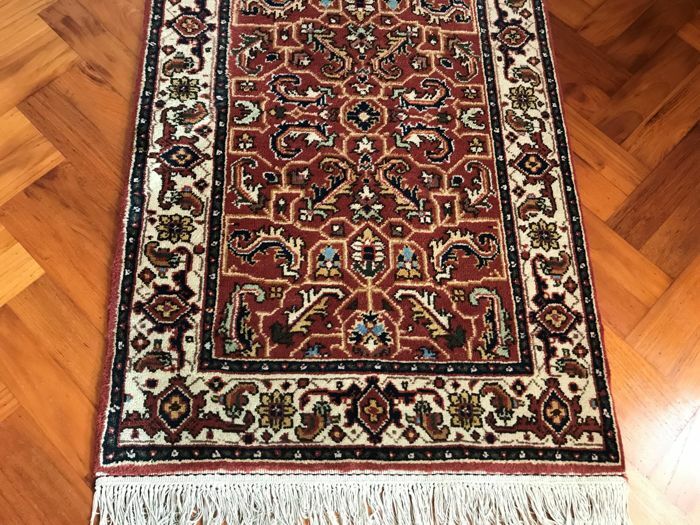 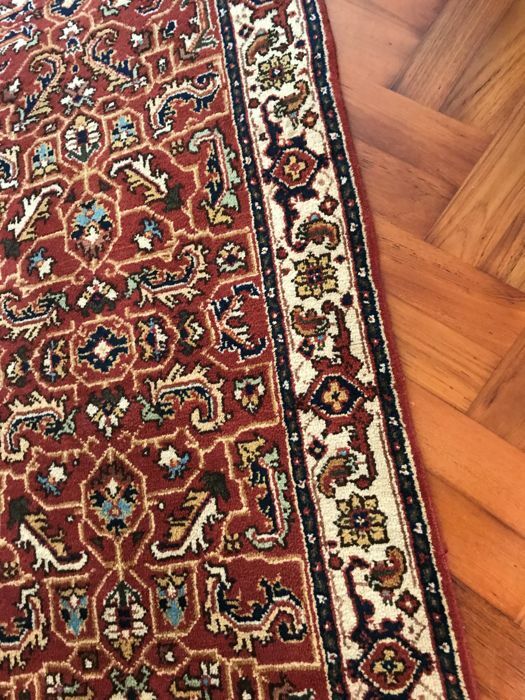 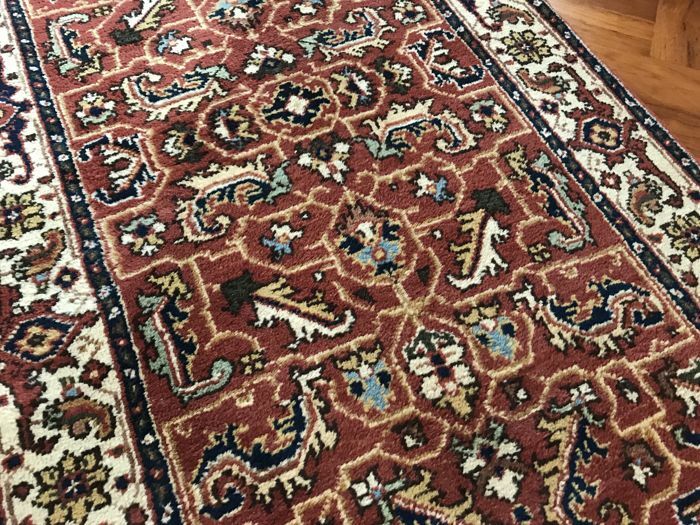 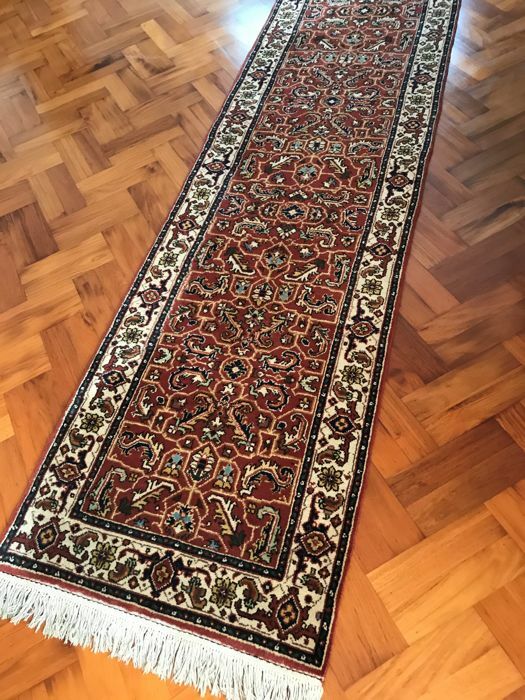 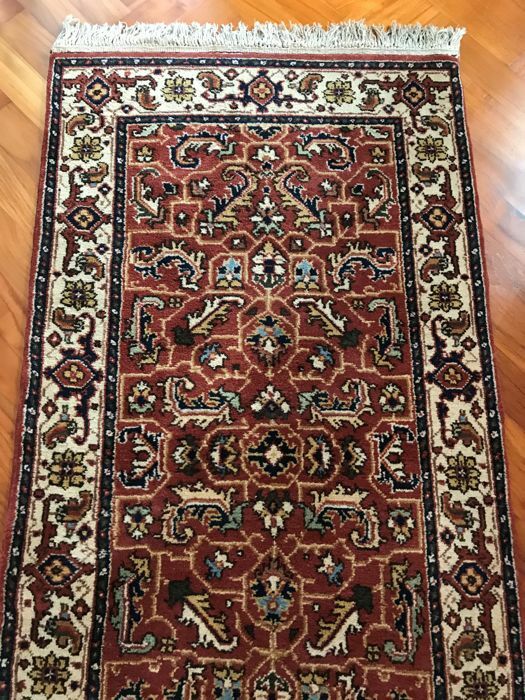 The way it is knotted and the diversity in patterns make this rug unique and emphasise its authentic and traditional character. 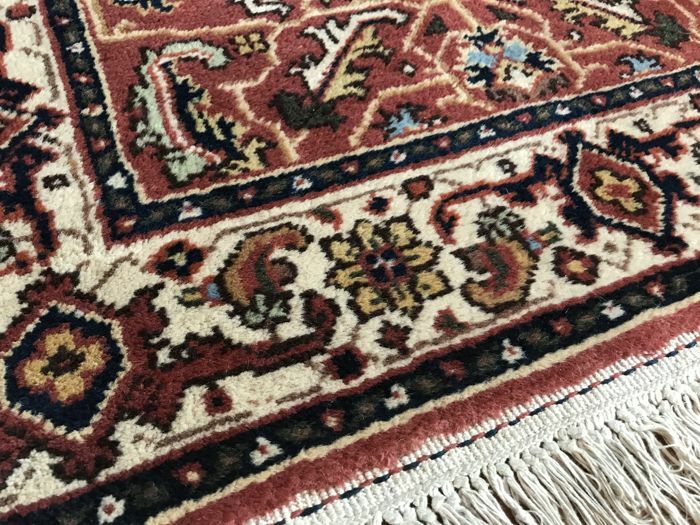 Bidjar rugs are made of high-quality wool on a cotton warp (bobbin thread). 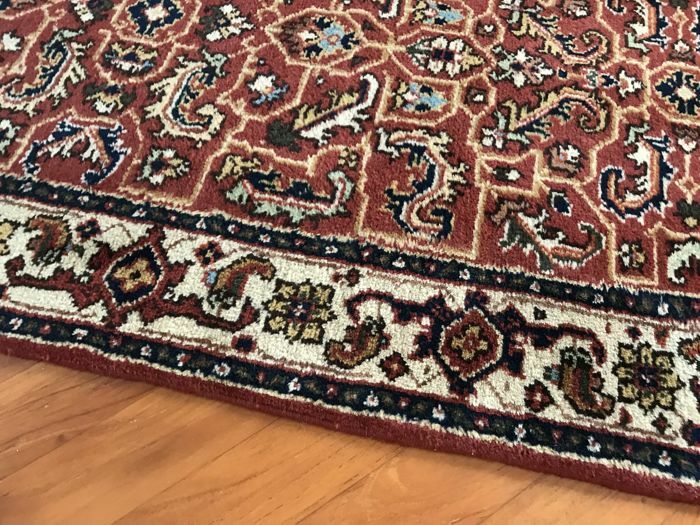 They are often thick and compact carpets with the pile pointing almost straight up. 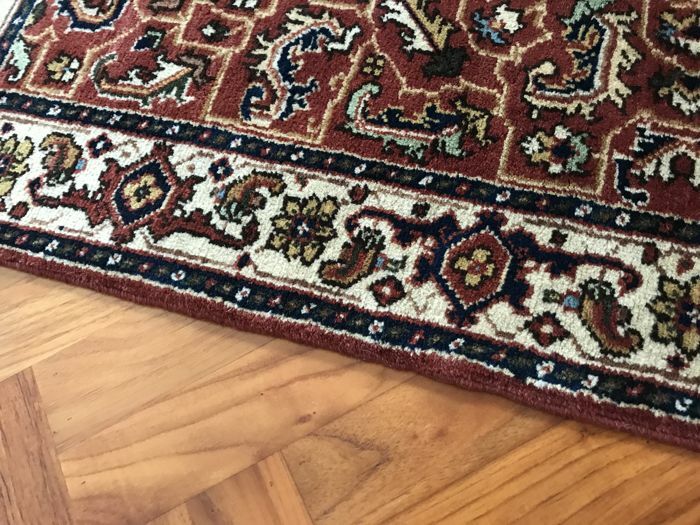 This is why Bidjar rugs are excellent carpets for regular use, with an extremely high durability. 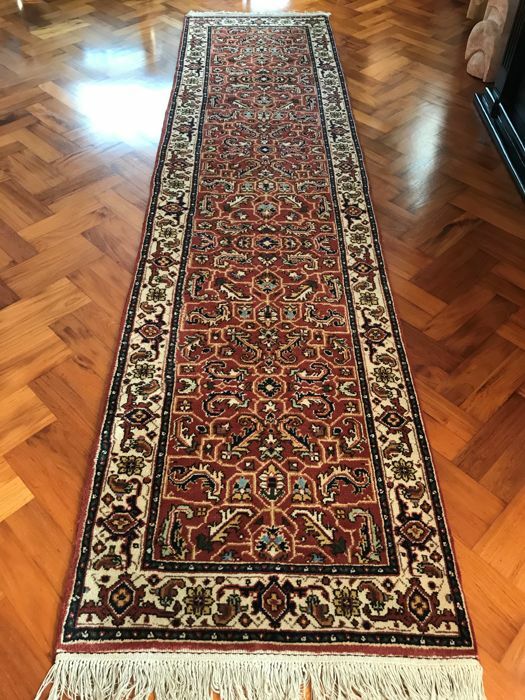 This is a used runner, which has become more beautiful and characteristic due to the natural ageing process. 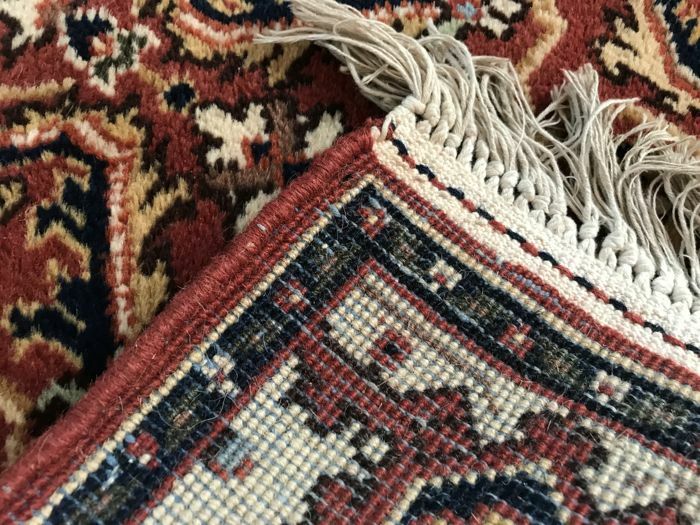 Accent colours: Cream, green and shades of blue. 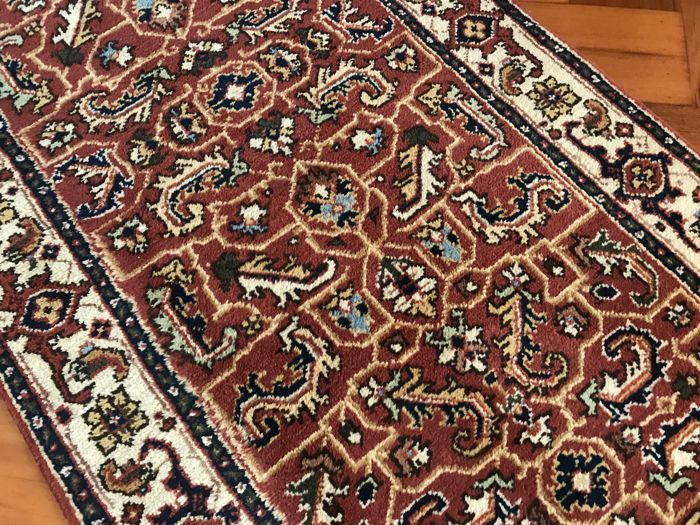 Details: A lot of nap; Warm colours; Rich shine.